“Dez Bryant allegedly hit his mother.” I don’t care what the reason for his alleged actions were, the Dallas Cowboys 3rd year wide receiver has no excuse for hitting his mother. On drug? So? She’s 37; he’s 23 (which means she had him when she was 14 years old) – so what. There’s no excuse for a son hitting his mother. If she’s that bad, Dez should have called the police to save his life – if that’s what the fear was. But reading the accounts and listening to the stories, it doesn’t read that way at all. Mr. Bryant has to understand that he doesn’t represent himself anymore – he represents the Dallas Cowboys (once called ‘America’s Team’), and the National Football League. Because of that, Bryant has to be held to a much higher standard that the common person. And because of that, he must be suspended for the year. Dez Bryant playing in the NFL in 2012 would be an insult to mothers everywhere. Period. It would send a signal that it’s OK to go and hit your mother if you’re a millionaire wide receiver. That’s not the kind of message the NFL should be even interpreted as seeing. Dez Bryant has to sit this out. For the good of all that’s right and just – the NFL should consider his role in the 2012 Season done. 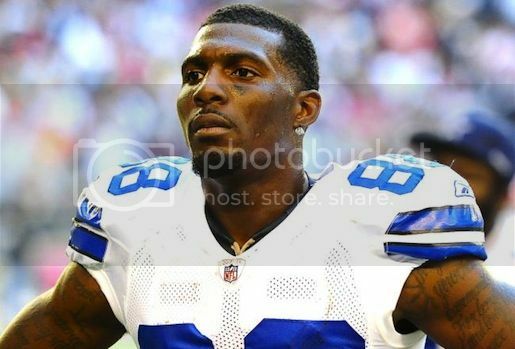 Be the first to comment on "Dez Bryant Allegedly Hits Mother, Should Be Suspended For NFL Season"